The 2018 Lakeside Pavilion 5th annual Lakeside Summer Series for free outdoor entertainment is in full swing! The theater is located on the College of DuPage campus, just west of Park Boulevard in Glen Ellyn, Illinois. Take Park Boulevard to Fawell Boulevard (22nd Street on Google Maps). Turn west and follow Fawell about 1/4 mile as it curves right and left again. The COD campus is on your left. Turn into the parking lot’s first entrance by the green and white College of DuPage sign. The MAC will be directly in front of you. Parking is free in any of the lots. See you there! THANK YOU! THANK YOU! THANK YOU! 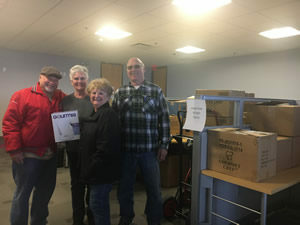 To T-Systems of Downers Grove who GENEROUSLY donated 100 small appliances to be distributed to our Food Pantry clients. , toaster ovens, crock pots, coffee pots, can openers…OH MY it’s Christmas in March!! WOW!! We have 1714 lbs of Capri Sun!! THANK YOU to Greencore USA for their generous donation of Capri Sun! You will be putting a lot of smiles on kid’s faces who receive weekly food from the Food Pantry. Did you get your BURGER on?? Thank you to Meatheads of GE for supporting the GEFP on March 22nd, 2018 with 20% of their profits coming back to the Food Pantry to help us in turn feed our hungry neighbors in need. Meatheads is also continuing to collect NON perishable items in their store thru the end of the March. THANK YOU MEATHEADS!! 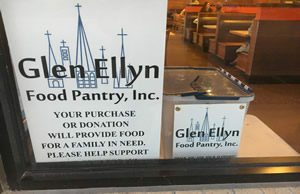 See the Glen Ellyn Food Pantry in action and learn why our mission to feed our hungry neighbors is more important now than ever. In 2015, GEFP distributed $2.6 million in food to over 29,000 people, and we have literally out grown our space at Grace Lutheran Church. To accommodate this enormous growth, we have planned and budgeted for a modest expansion and reorganization of our current space. The new configuration will provide more client appointments to meet the growing need. Although we have some committed funds for these changes, additional unexpected challenges are facing us. Pantry updates are needed to increase space and comply with village ordinances, new computers are critical to accommodating necessary software updates, and increasing operating costs are driven by a 14% increase in client services thus far in 2016. We are working hard to meet these challenges, but we need your help. Please consider making a donation to help us meet these needs. While we continue to partner with the Northern Illinois Food Bank and local retailers in our community to squeeze as much value out of every dollar given, the demand for food assistance continues to grow. Your tax deductible gift will make a positive impact on local families in need. The Glen Ellyn Food Pantry expansion is scheduled to be completed by August 1, 2016, and we would love for you to see our changes in person during our normal operating hours. 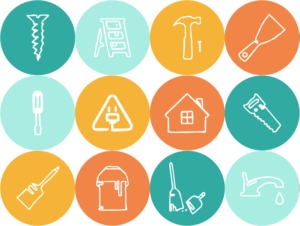 You can see your contributions at work, serving your community. 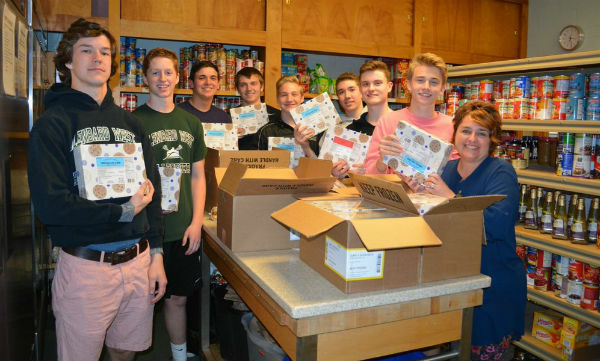 Glenbard West’s lacrosse team donated 34 boxes of cookie dough to the Glen Ellyn Food Pantry as part of their annual team fund-raiser. 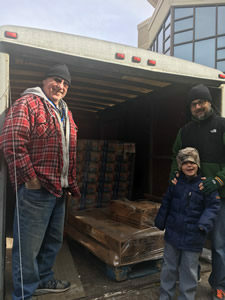 The cookie dough that was donated came from fund-raiser orders – people who placed an order could add a box or more to donate. 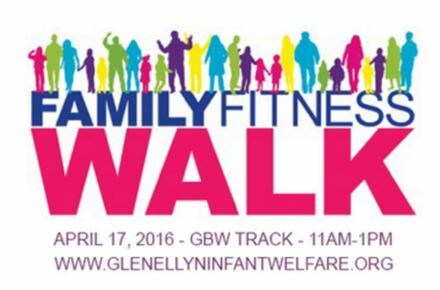 Come join our high school GEIW Junior Volunteers for a morning on fun and fitness at Glenbard West High School on April 17, 2016. This group of high school students plans and organizes this event that raises money and awareness for our 22 deserving agencies. Click here for tickets.